When inserting (or deleting) a new node, certain rules must be followed. If they’re followed, the Binary Tree will be balanced. A tree with the above properties is called a Red-Black tree. No path from the root to a leaf is more than twice as long as any other path from the root to a leaf. 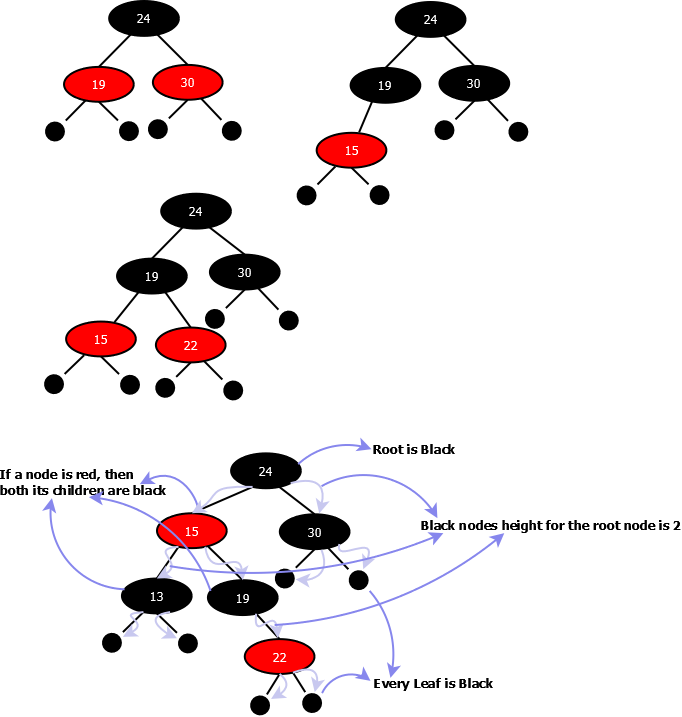 Applying rules 4th and 5th, shortest path will have all nodes black and the longest path will have alternate red and black nodes as a red node can only have black nodes as children. 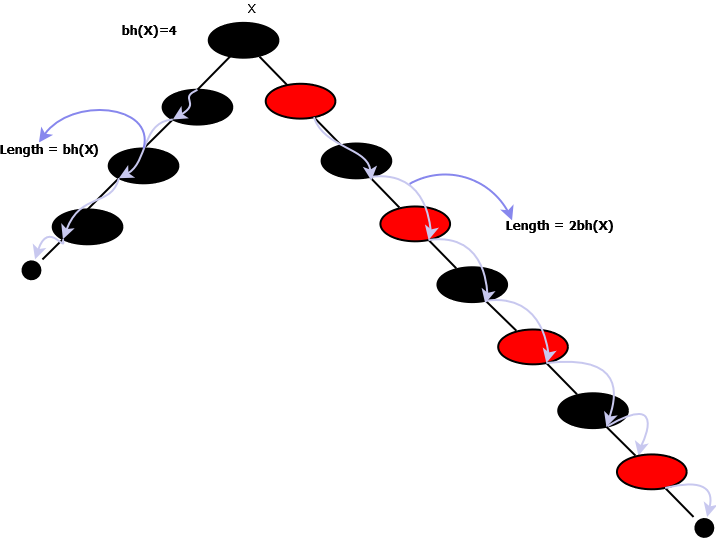 The subtree rooted at any node x contains at least 2bh(x) – 1 internal nodes. A Red Black tree has least number of internal nodes when it is made up of ONLY the black nodes. Like the below tree. Lets try to prove S(bh(x)) = 2bh(x) – 1 by mathematical induction (1).